Music: it’s the connection everyone in the world has to one another. 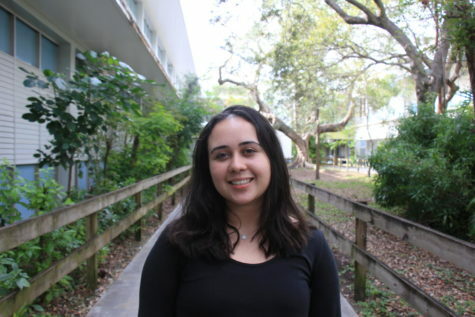 My name is Brianne Guanaga and I am currently a senior at Miami Palmetto Senior High, heading towards double-majoring in journalism and music business. This blog, “Noted,” is going to discuss all things involving music, whether it is about new artists, album reviews and everything in between. If I can pinpoint the exact moment when I realized that I truly craved music and needed it to breathe, it was when I was 8. It was when my father took me to my first concert. For most girls around that age, what they wanted to listen to was pop princesses, which naturally, I did for awhile. But that all changed at the age of 8, the age when I realized I had a burning passion that could never die out. My first concert was a rock and roll band from the 1980s called Rush. I remember three middle-aged men screaming into their microphones, beating violently on the drum set and strumming their guitars so roughly that their fingers were raw by the end of the set. That concert changed my life and led me to the realization that the unifying atmosphere where everyone became one for three hours was something that felt so special. It ushered me out of my comfort zone of pop princesses and helped me discover new genres of music. This concert led me to wanting to want to work in the music industry to change the face of music, to discover the hidden talents and to make this world a place where music is at the core. To me, music is air. It’s the universal symbol of love and peace because at the end of the day, it’s something that connects humanity in one way or another. As a nation, as a world and as a human race, music helps us grow together when the world seems as if it is being torn apart, piece by piece. It has made an everlasting impact on my life. Music runs through every nerve, bone and fiber in my body and that is why every time I listen to a new song, I feel as if I have become one with the instruments and that I have physically sank into the lyrics like they were created just for me. Music produces the beauty of form and harmony and expresses emotions but it is also so much more. It is the one thing that makes me lose all sense of reality and self. It is the one thing I feel an insane passion for that I cannot ever get tired of. It is everything to me which is the sole reason on why I need to share it. Welcome to Noted.